Every October, schools offer the PSAT/ NMSQT to students nationwide. We get a lot of questions about this test, so to help, we’ve put together everything you need to know in this PSAT guide. The PSAT/NMSQT is open to both 10th and 11th grade students. While many 10th graders take the test, most test takers will be juniors because 11th grade students who take the PSAT/NMSQT compete for the coveted National Merit Scholarship (see below for info on that). What’s the difference between the PSAT/NMSQT and the PSAT 10? You may have heard of an alternative called the PSAT 10. The PSAT/NMSQT and the PSAT 10 are the same test but are offered at different times of the year. The PSAT/NMSQT is open to both 10th and 11th grade students and is used as a qualifying test for the National Merit Scholarship. The PSAT 10 is open only to 10th grade students. Although some scholarship programs use the PSAT 10 to screen for qualified students, the test does NOT qualify students for the National Merit Scholarship. Why should you take the PSAT/NMSQT? Overcoming test anxiety: The PSAT offers feedback for potential SAT performance. Students who perform well on the PSAT are at an advantage when sitting for the SAT because they will have the confidence that comes with having successfully taken a similar test under similar conditions. Feedback for SAT success: The feedback you receive from the PSAT can help identify areas of strength and weakness to aid you in your SAT prep. 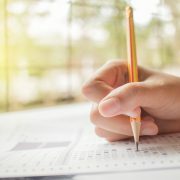 Seeing how you compare: Percentile rankings on the PSAT can provide insight on how your scores compare to your peers nationwide, which can help guide your college admission strategies. The scholarship itself is worth $2,500, a relatively small sum considering the annual tuition at many selective colleges and universities; however, it is the prestige of recognition in the program that carries the greatest value. Any applicants who can boast National Merit Scholarship recognition gain an advantage in college admissions. About 1.6 million high school juniors take the PSAT/NMSQT each year. These students are screened for qualification for the National Merit Scholarship. To participate in the scholarship program, students must take the PSAT/NMSQT in 11th grade, be enrolled as a high school student and plan to enroll in college the fall after graduation, and be a citizen or lawful permanent resident intending to become a citizen of the United States. 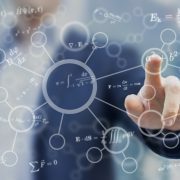 Of the 1.6 million who are screened for qualification, about 50,000 students will earn scores high enough to qualify for recognition in the National Merit Scholarship Program (about 3-4% of test takers). These high scorers will qualify as either Commended Students or Semifinalists. Of the roughly 50,000 who qualify for recognition, about 16,000 will become Semifinalists. Semifinalists are chosen on a state-representational basis, meaning that they are the highest scoring students in each state. As a result, Semifinalists from one state may have higher or lower qualifying scores than Semifinalists from another state. 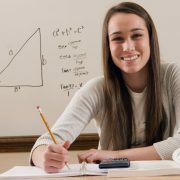 Like the SAT, the PSAT/NMSQT includes a Reading Test, Writing and Language Test, and Math Test. There is no essay section on the PSAT/NMSQT. Most of the topics covered on the SAT are also covered on the PSAT; the test questions and test structures are remarkably similar although the PSAT will include fewer questions and reading and writing passages than the SAT. The College Board includes practice PSAT questions to give you a clearer idea of what to expect from the test. For more thorough practice, consider contacting your local C2 Education center to schedule a diagnostic test. How can you prepare for the PSAT/NMSQT? 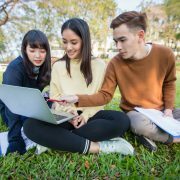 Since the tests are so similar, your best bet for preparing for the PSAT/NMSQT is to begin your SAT prep a bit earlier than you may have planned. Preparing for the SAT will also prepare you for the PSAT because the content of the tests overlaps. A diagnostic SAT at your local C2 Education center can give you valuable testing practice while helping you to identify your strengths and weaknesses, which allows you to target your preparation to the areas where you need the most work. Long-term prep isn’t an option. Use your test score to identify one or two of your weakest areas, and then focus your efforts there. If you can spot one or two topics that you scored really badly on, you can focus your efforts there to get the biggest bang for your test prep time. Understand the format of the test. For example, all questions are worth the same, no matter how hard or easy they may be. Don’t waste loads of time on one or two hard questions because that could mean that you won’t get to five or six easier questions at the end of the section. It can be hard to skip questions, but force yourself to do it anyway. If time allows, you can always go back. Use the lack of guessing penalty to your advantage. No guessing penalty means that you shouldn’t leave a question blank. Even if you guess blindly because you only have seconds remaining on the section, you still give yourself a 1 in 4 chance of getting it right. Get a good night’s sleep and eat a hearty breakfast. Both of these can boost your brain power and concentration.